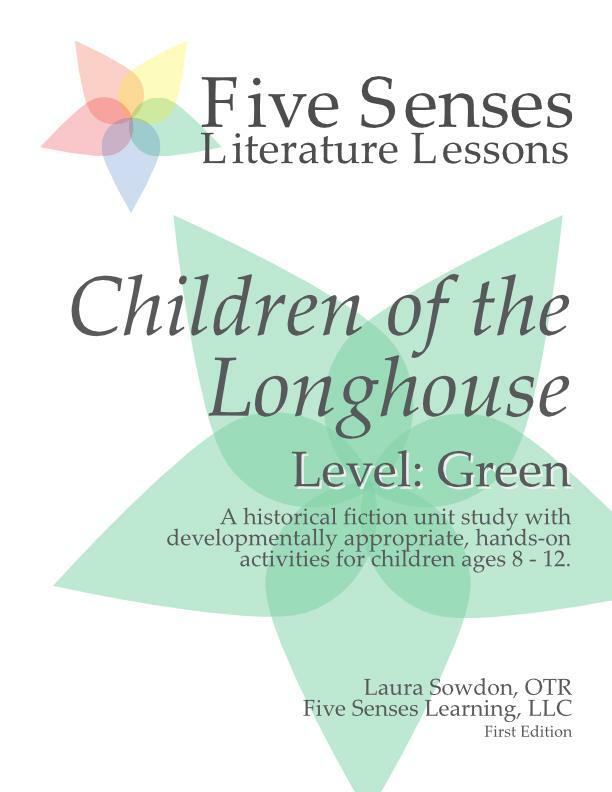 The Children of the Longhouse Unit Study is the first program at the Green Level from Five Senses Literature Lessons. 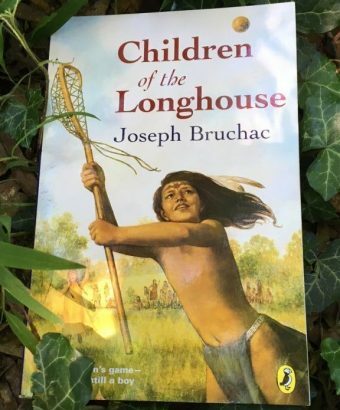 Children of the Longhouse by Joseph Bruchac is an engaging chapter book about a boy and girl growing up in Iroquois Bear Clan prior to European colonization of New York. The coming of age story is an excellent foundation for lessons about the history, culture, and family life of the Iroquois people in the 1500s. It also provides a platform for lessons in literature, engineering, social justice, and health, creating a full unit study experience. These Green Units are not your typical literature-based unit studies. Five Senses Literature Lessons units are designed to teach topics far beyond just language arts, covering science, history, life skills and art. Each book is carefully chosen for its value as part of a history program, telling the story of an individual or group of people who are historically significant. Because topics of health and science are a part of real life, the literature creates openings for lessons that tie directly back to the story. And because it is how children learn best, each unit is full of hands-on go-along activities and videos that bring the story to life. Green Units are ideal for children ages 8 – 12 who can listen appropriately to or read chapter books. 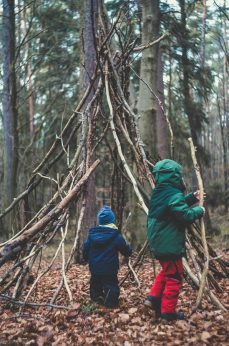 Children studying at the Green Level should be capable of engaging appropriately in discussions about abstract ideas and complete tasks requiring some planning. To learn more about the Color Coded Level System, please see this blog post on the topic. Five Senses Literature Lessons is dedicated to meeting children’s educational needs in a developmentally appropriate way. Therefore children may be ready for this unit study at different ages. 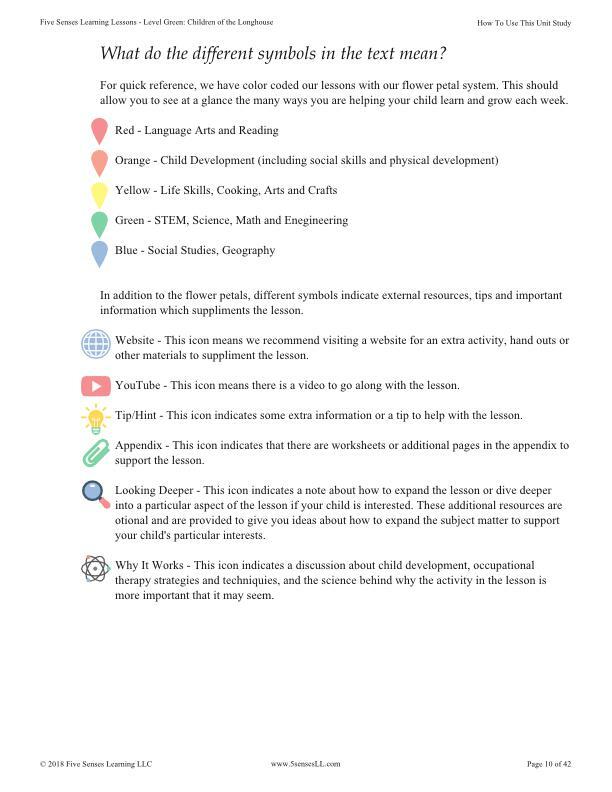 This is a full-color, downloadable PDF document with links to videos and external resources, book and supply lists, worksheets, and corresponding activities for each chapter of the book. 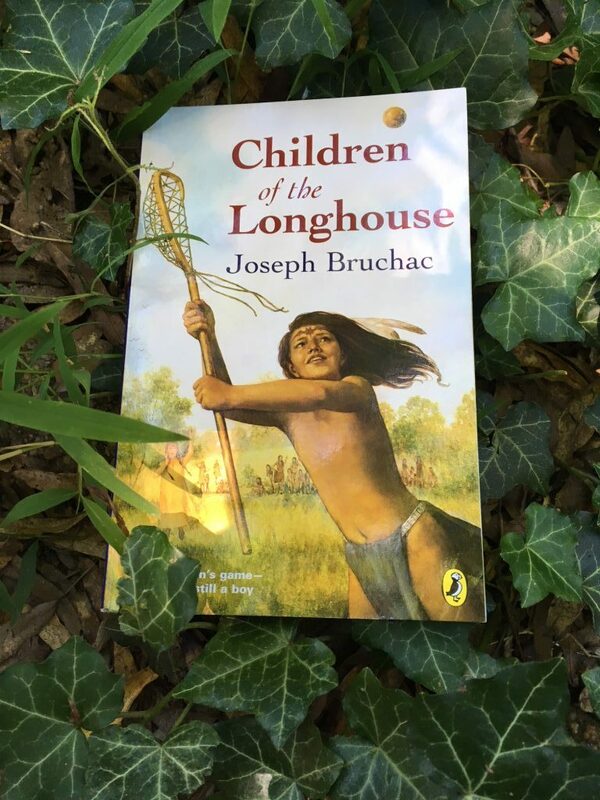 Children of the Longhouse by Joseph Bruchac is about a young boy from the Mohawk People in a time before European colonization of the Iroquois Nation in what is now New York State. Through the eyes of Ohkwa’ri and his twin sister Otsi:stia, we learn about the culture, family life, political structure, and living conditions of the Iroquois from this time period. Joseph Bruchac is a highly acclaimed children’s book author and a scholar of Native American culture. He has written many stories for children about Native Americans. This particular book is well-paced and engaging for a wide range of ages. 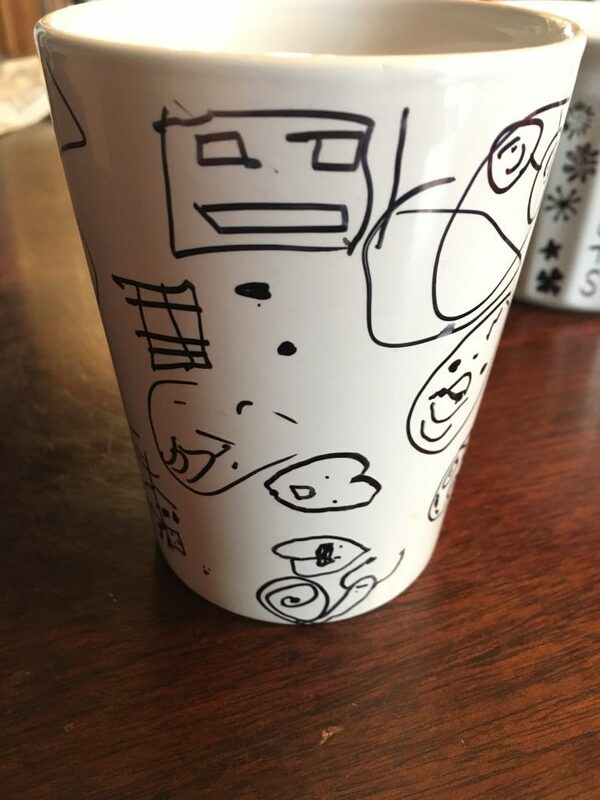 The story is told from the point of view of the children and in the children’s own words, making the language simple and approachable for children just starting to read chapter books. The coming-of-age story, sprinkled with myths and legends from the Iroquois, is an excellent foundation for hands-on lessons in a wide range of subjects. You and your child will learn how to carve with a knife, learn about prosthetic limbs, study sign language, learn a new sport and have many opportunities to discuss important topics such as gender roles in society, social justice, and mental health. 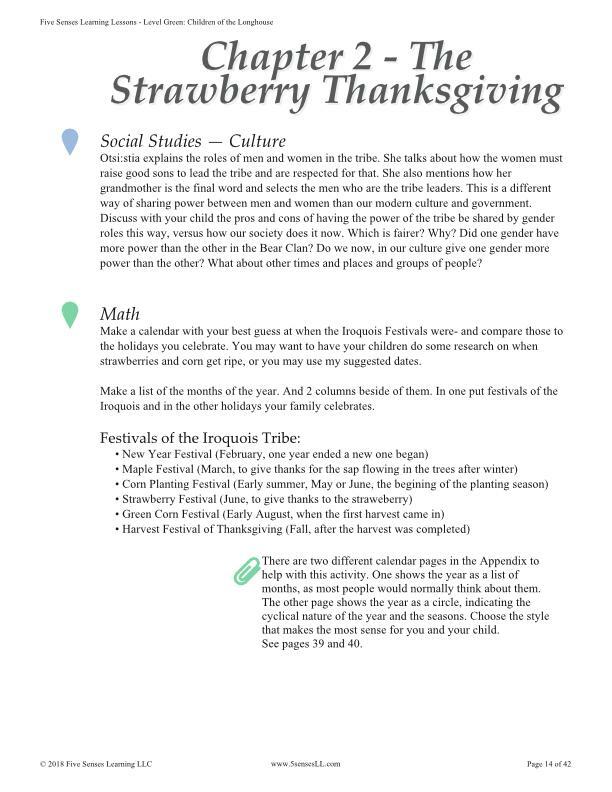 The Children of the Longhouse Unit Study is easy to use with limited start-up or prep time required. The supplies needed are simple and often things you’ll have around the house. There is a simple list of supplies needed for the entire unit study so you can review it in advance. There are embedded hyperlinks to all external resources, YouTube videos, and appendix pages to make it easy to navigate from any computer or tablet. 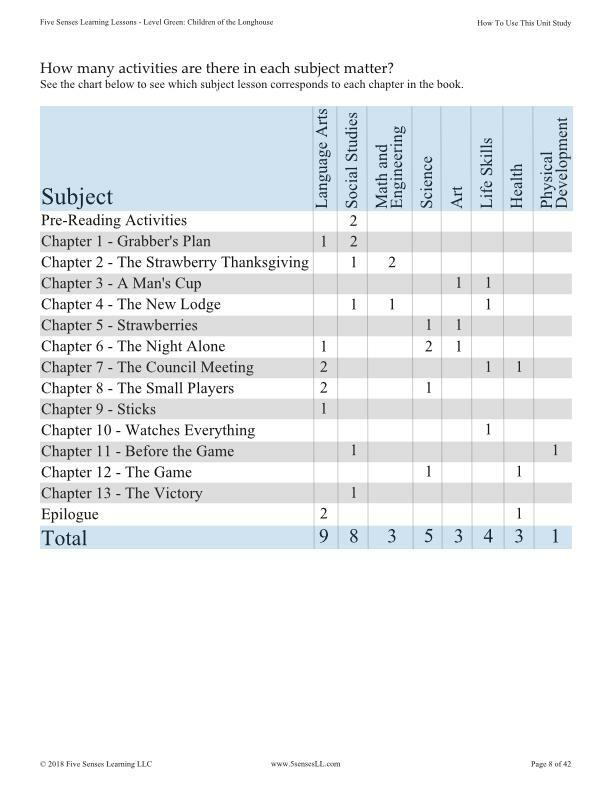 And all the subjects are color-coded and clearly indicated so you can find the right activity for a given day easily. 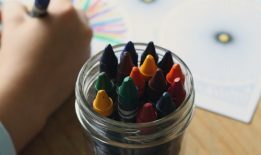 In addition to the bonus information and links to external resources in the curriculum, there are additional resources here on the website and at the Pinterest page for Five Senses Literature Lessons to give you more ideas of activities to do with your child if they want to dive deeper into a particular topic. We are constantly updating the content on the Pinterest and Blog with new ideas, helpful hints, and inspiration. 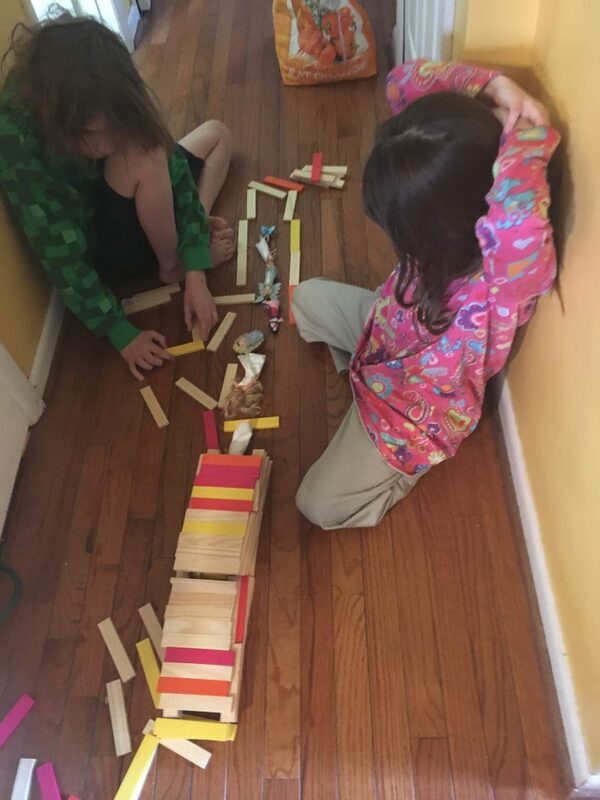 Home education should be engaging and fun for both you and your child. Five Senses Literature Lessons provides you with support and inspiration along with a simple, developmentally appropriate framework for educating your child.